April 9, 2019. Elections for the Israeli parliament are conducted every four years. How many members does the Knesset have? How many Palestinians MPs are part of the Knesset? Currently, there are 17 Palestinian MPs in the 120-member chamber. The 120 Knesset seats are allocated by proportional representation to party lists. In order to win seats in the Knesset, a party must pass a threshold of at least 3.25 per cent of the national vote, equivalent to 4 seats. No single party has ever won an outright majority in the Knesset, so coalition governments are the norm. After the election and consultations with party leaders, Israel’s president ask the candidate whom he judges has the best chance of forming a coalition to try and put together a government. That is usually the person heading the largest party, but not necessarily. How many voters are registered for the April 9 elections? 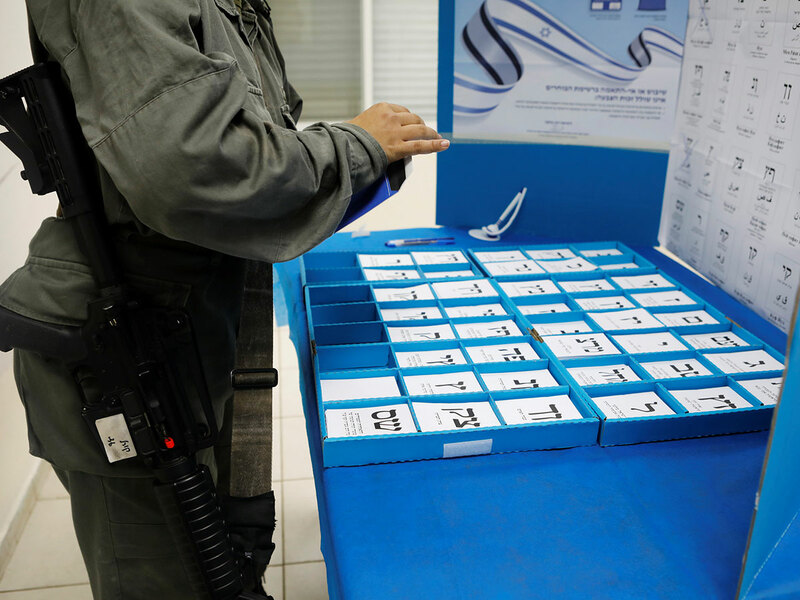 About 5.8 million Israelis are eligible to vote in this April 9 elections, according to the Israeli statistics bureau. Palestine, a non-issue this election? 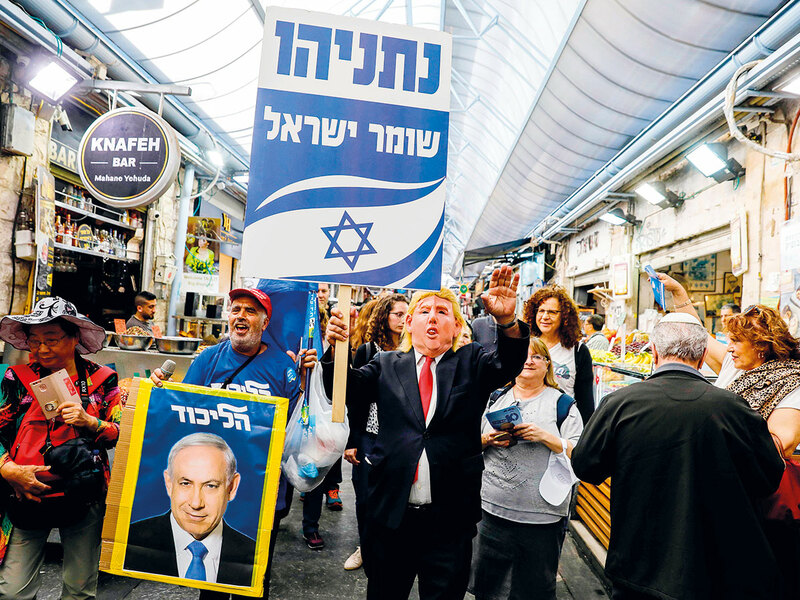 In a charged election campaign that has been heavy on insults and short on substance, Israel’s conflict with the Palestinians has been notably absent from the current election campaign discourse. Benjamin Netanyahu, the current Prime Minister who belongs to the right-wing Likud Party, has offered no plan for what many believe is the country’s most existential problem. His main challenger in Tuesday’s vote, former army general Benjamin "Benny" Gantz, speaks vaguely of “separation.” Netanyahu’s hard-line partners speak openly of the once-unthinkable idea of annexing all or parts of the Occupied West Bank. Talk of a Palestinian state, the international community’s preferred solution for the past two decades, is non-existent. This apparent lack of interest reflects widespread disillusionment in Israel over years of failed peace efforts. But it also is a testament to Netanyahu’s success in sidelining the Palestinian issue. The Left parties of Israel are traditionally supported by Israel's academic, cultural, and business elites, as well as its security establishment. This election, the main Left party is Meretz, popular with liberal middle-class Israelis, the party advocates a two-state solution with the Palestinians. The left-leaning Labour Party, which governed Israel for decades, lost 10 seats in the 2015 last elections from 18. Labour campaigned on social and economic reform, as well as pursuing peace and a two-state solution with the Palestinians. 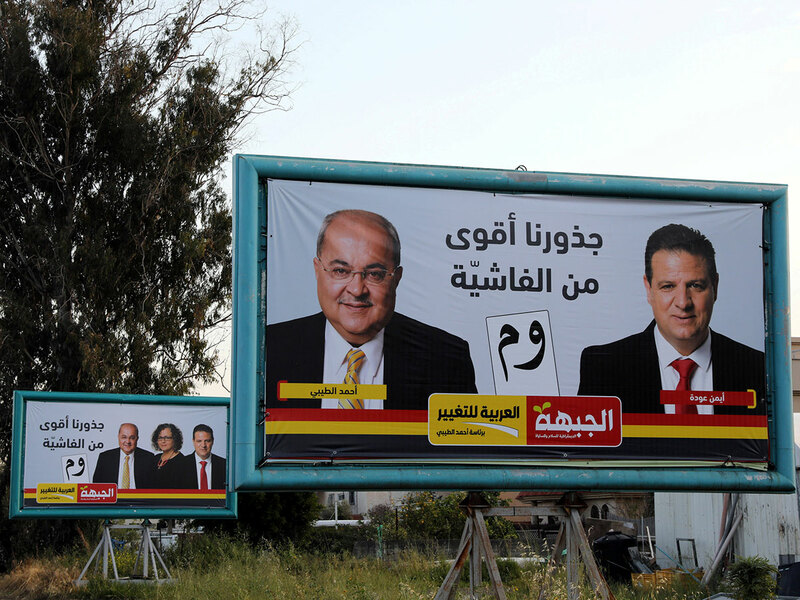 “Whether more candidates from the Arab parties win or not, it is of no use for us. For the past 19 years, they had no real impact on the Palestinian cause, and did not benefit us on the ground with anything,” said Abdullah. Currently, there are 17 Palestinian MPs in the 120-member Knesset, the Israeli parliament. Arab lawmakers stand up in protest during a Knesset session in occupied Jerusalem, Thursday, July 19, 2018. Israel's parliament approved a controversial piece of legislation on Thursday that defines the country as the nation-state of the Jewish people but which critics warn sidelines minorities. Under Israel’s proportional representative system, Arab Israelis are represented in the chamber. Around 20 per cent of Israel citizens are of Palestinian origin, known sometimes as Palestinian citizens or as Arab-48, which refers to 1948 when the state of Israel was declared. Around 20 per cent of Israel citizens are of Palestinian origin, known sometimes as Palestinian citizens or as Arab-48. The Knesset passed Israel’s Nation-State Law in 2018, declaring that only Jews have the right to self-determination in Israel, in effect rendering Palestinian-Israelis as second-class citizens. The law was passed by a narrow vote of 62 to 55 votes. The nation state bill describes Israel for the first time as “the national home of the Jewish people”. The law downgrades Arabic so it is no longer an official language of Israel and declares that Jerusalem — “complete and united” — is the country’s capital. 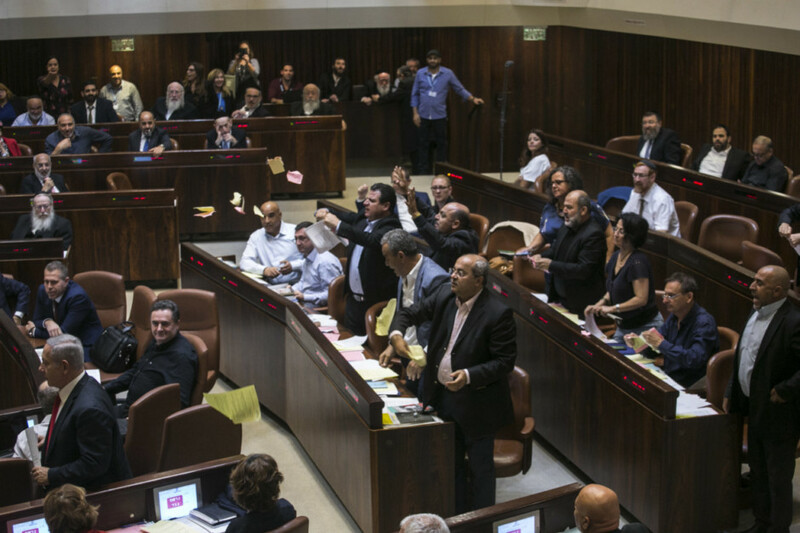 Arab-Israeli MPs angrily denounced the bill as “an apartheid law” and tore copies of its text into pieces after it passed. There’s exasperation on the ground. Ahmad Abu Shahla, 38, from Gaza, agreed with Abdullah. Recent polls have show that the right-wing bloc led by Benjamin Netanyahu’s Likud will grab the majority of Knesset seats. But the polls also suggest that a new Centrist party, headed by a popular former general, emerging as the largest faction in parliament. Undecided voters: Can they hold sway? Surveys also revealed a huge chunk of undecided voters, who could swing the election either way. Gazans on the ground, are gripped by the same despondency or hopelessness, regardless of whichever party dominates the Israeli elections. The 120 Knesset seats are allocated by proportional representation to party lists. In order to win seats in the Knesset, a party must pass a threshold of at least 3.25 per cent of the national vote, equivalent to 4 seats. No single party has ever won an outright majority in the Knesset, so coalition governments are the norm. That is usually the person heading the largest party, but not necessarily. That candidate has 28 days to form a government, with a possible 14-day extension. If he or she fails then the president tasks a different candidate with the job. How many voters are registered for the April 9 elections? To simplify the matter on ground, Palestinians who live in Gaza and West bank carry the Palestinian passport because they live under the Palestinian authority. Any government formed in Israel affects their existence and the size of their land. For Arab 48, who carry the Israeli passport, and the Palestinians of Jerusalem who carry the Jerusalem identity issued by the state of Israel, the elections and the next government affect their daily lives. “Even Arabs in the Knesset — they are a minority. So what will change? They can speak and object, but that’s all. They cannot change policy,” he added. The people of Jerusalem live in despair, said Mahmoud. 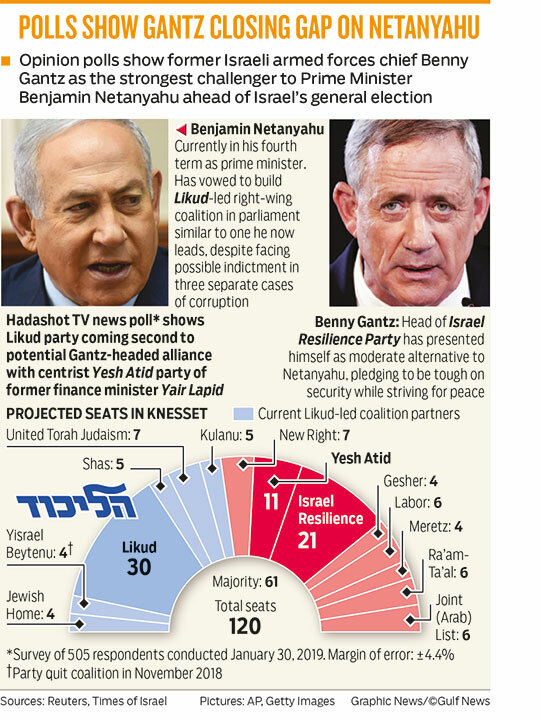 What parties have best chance of winning Knesset seats? 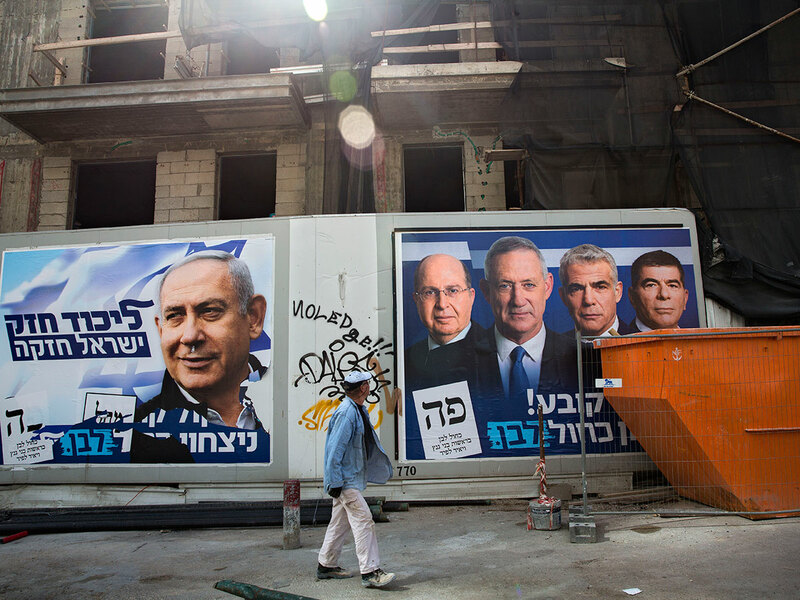 The biggest right-wing party in Israel is predicted to win about 29 seats. Likud champions tough security policies when it comes to the Israeli-Palestinian conflict. Many of its members oppose the creation of a Palestinian state. Netanyahu, in a last-minute election promise, said he would annex Israeli colonies in the occupied West Bank if he wins another term. Gantz has emerged as a serious rival to Netanyahu. His party is forecast to win 31 seats. Gantz is a popular former armed forces chief and a political newcomer. He joined forces with the right-wing Moshe Yaalon, a former defence minister, and centre-left former finance Minister Yair Lapid to form the new centrist Blue and White party. Gantz has called for pursuing peace with the Palestinians while maintaining Israeli security interests. He has signalled he would make territorial concessions toward the Palestinians but has also sidestepped the question of Palestinian statehood. Gantz has vowed clean government, while at the same time giving mixed signals over whether he would join a Netanyahu-led coalition. Bennett, Israel’s education minister, and Justice Minister Shaked split from Israel’s national-religious faction to form a new far-right party that would appeal to more secular constituents. Polls presently show them winning 6 seats. Bennett calls for annexing most of the West Bank, offering autonomy to Palestinians. Predicted to win 7 seats, Israel’s national-religious party is the most prominent political representative of Israeli colonists in the West Bank. It repudiates the idea of a Palestinian state and stresses Israel’s biblical and religious connections to land Palestinians seek for a state. The union includes Jewish Power, an ultra-nationalist religious party that includes disciples of the late Rabbi Meir Kahane who advocated the “transfer” of Palestinians to neighbouring Arab countries and a ban on intermarriage between Jews and Arabs. An ultra-nationalist religious party that has surged in the polls in recent weeks and is forecast to take around 6 seats - partly over its support for legalising marijuana use. Zehut calls for the voluntary transfer of Palestinians to neighbouring Arab states and bills itself as a libertarian force, pushing for a free market economy. The far-right party, which has counted on the support of immigrants from the former Soviet Union, has been teetering on the electoral threshold in recent polls. Moldovan-born Lieberman is a former defence minister whose policies include trading Arab towns in Israel to any future Palestinian state for territory in the West Bank where Jewish colonies have been built. He also wants to make loyalty to the state a condition for citizenship. UTJ represents ultra-Orthodox Jews, or Haredim, of European origin and is seen winning about 6-7 seats in the Knesset. UTJ is primarily concerned with safeguarding state benefits for Hared men who devote themselves to full-time religious study and do not serve in the conscript military or work. Predicted to take 7-8 seats in the Knesset, the socialist Jewish-Palestinian party draws most of its voters from Israel’s 20 per cent Arab minority. It advocates a Palestinian-Jewish alliance to fight discrimination, racism and social inequality in Israel. Palestinian parties have never joined governing coalitions in Israel.